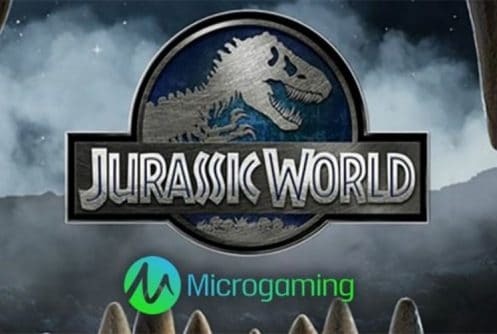 Microgaming have combined the best of online gaming with one of the world’s greatest movie franchises. It’s the added fear created by the dinosaurs which makes this game really stand out. So, will you dare to enter Jurassic World and see whether luck is on your side. Jurassic World is a 5-reel, 243 ways to win slot that offers a pretty low RTP of 95.45% for players. The game screen and reels look like they belong in the control room at the headquarters of Jurassic World itself. Symbols relating to the movie fill the reels such as the characters Clare, Simon, Owen and Nick who make up your higher value symbols. Then you have the Velociraptor, Pterodactyl, Stegosaurus and the mighty Tyrannosaurus Rex who make up your lower values; though we would have had these the opposite way around if it was us. Bet Amounts – Betting begins at 30p per spin and can be increased up to the maximum of £7.20! Yes, you read that right, £7.20 to spin the reels in Jurassic World, explains the RTP a bit doesn’t it? Wild Symbol – The Jurassic World logo is your wild symbol and it will substitute for all other symbols except the scatter. It will also appear stacked on the reels up to a maximum of x10 if you are lucky and is the second highest paying symbol in the game, offering a x60 coin win for landing 5 in a winning combination. Scatter Symbols – A mosquito held in amber is your scatter symbol and landing three or more of these will trigger the bonus feature. As well as this the scatter is your highest paying symbol, offering a mammoth x720 coin win for landing 5 or more in a winning combination. Wild Scatter Feature – At any point if you land x2 scatter symbols in view you will see that they both turn into wilds. This will often help out with wins as the scatters do land fairly often, but not always in the higher numbers. Indominus Rex Feature – During the base game only and at random you will see the Indominus Rex appear. Whilst he may scare you a little he comes bearing a gift, which is a multiplier of up to x1000 your line win! Gyrosphere Valley – allocates 10 bonus spins with an increasing multiplier added on each non-winning spin. Meaning the multiplier is growing each time you incur a loss, so the round can only end on a win. Creation Lab – allocates 10 bonus spins and in addition symbols that form winning combinations will be removed at random. This allows new symbols to fall into their places and create new wins. Also, you will have sticky wilds, which remain in place for three wins and then are removed. Raptor Den – allocates 10 bonus spins and scatter symbols which will act as wilds. They will also freeze in place until you have a total of three on the reels, which will then allocate 5 more spins. Jurassic World is a fantastic game, the only downside is that the bonus spins take forever to trigger. Once it does however, it is worth the wait. In the meantime, you will see that the x2 scatter symbols do seem to land way more often. This will help create better wins within the base game and is about the only saving grace of having to wait so long for the bonus. For lovers of the movie franchise this is going to be a huge draw and even for those that aren’t.